Do you dream of hiking in Hungary, adventure in Auckland or camping in the Canadian wilderness? Could you think of nothing better than just grabbing a rucksack and going round the world long term? Yes all round? OK…try asking yourself if you could do all of that solo? Most people I have spoken to chose this moment to switch off their adventurous side and call me crazy. Since I can remember, travel and adventure has been the excitement in my life, the very thing that has always made me smile. For years now, I have watched nature documentaries feeling extremely jealous (probably unhealthily so) of the beautiful locations that the film crews are visiting. The very focus of my adult life, among a few other important things, is to travel and experience the places I have only ever seen from my television screen. You see, what I have learnt about this life-long love is that it takes time to achieve, you can’t just tick travel off like an object from your shopping list. A true traveller will grow with experience and throw themselves into the unknown. 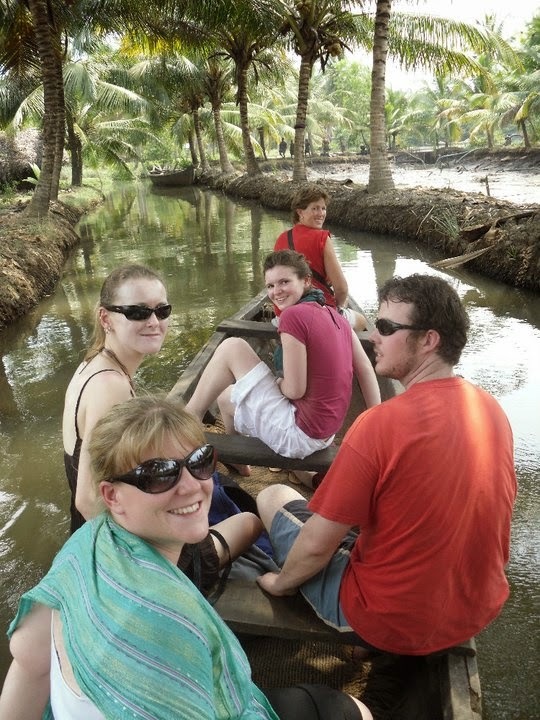 Winding down Southern India’s back waters with my sister and three friends (Feb 2010). So, when I was thinking of this particular subject just the other day, I decided it was time to address an issue that I feel the majority of wanderlust individuals face at one time or another. This issue is negativity. If you’re anything like me, you’ll probably know the type. The stigma that usually comes around straight after you announce that you’re going travelling alone. Time and time again, I have seen that concerned look on my friend’s faces after they have learnt that I am braving the big wide world solo, especially as a young woman. Where will you go? they ask. Be careful of strange men, they warn. Now, it’s not a bad thing to worry for someone and I completely understand that the world has dangerous places. But I also believe there are certain opinions and stereotypes that will put you off travel all together if you let it. However, I also believe and understand that staying in comfort zones does not really help people grow or be spontaneous. I believe that taking a chance sometimes can be exhilarating and has lead me to have some of the greatest experiences with people I have met along the way. Hiking in the Pocono Mountains with my buddy Hannah (2012). What I would love this post to do (other than provide a good reading experience) is inspire people not to give up on travelling dreams, however big or small, just because of negative opinions. So below I have thought of a few opinions that you definitely shouldn’t let dampen your single adventurer plans. I can say (from the travelling experience I have) that solo travel will only ever be lonely if you make it that way. Talking to people is the best way to making fast friends and there is no better (and easier) place to do this in a shared hostel dorm, or even sitting in an airport. Just because you’re alone doesn’t mean that other people won’t be in the same boat. I have also learnt that travelling alone actually makes you more approachable to other people. So even when you’re not expecting it, you could make a friend just like that. As for vulnerability, I believe that common sense is the best way to battle this. If you can help it, don’t go wandering in dark, unpopulated areas alone at night and ensure you learn basic conversational skills in the local language. It’s also extremely useful to do as much research as possible before you visit a new place. All of the above points could be very valuable in case anything goes wrong. Remember that making friends and sticking together in groups, whenever possible, is a fantastic way to ensure you have fun and limits the risk of any one person standing out to potential predators. Exploring the main square in Krakow, Poland (March 2014). I’m not saying that these things are easy but I believe the common sense you have in your own country should apply everywhere else too, plus a few extras. I speak from personal experience when I say this point has darkened my adventurous thoughts a million times but if I let it stop me, I would regret not going for the rest of my life. The best advice I can give you on this one is just to go where you want to go. Unless tourists have been officially warned by officials to stay away then I don’t see why one or two rumours should taint your view of a place you’ve never been to. Call me overly negative but I believe there is potential danger everywhere you go and even walking out your own front door in the morning is taking a risk. You never know what could happen! So what should you do? Stay in your house for the rest of your life and wrap everything (and everyone) in bubble wrap? Of course not. As I mentioned before, travelling is all about jumping into the unknown and doing things that you probably wouldn’t ever do in normal, everyday life. In my mind, all of that enters into risk territory and without it, you wouldn’t be able to do half of those things. I’m not trying to say that entering a war zone is a good idea (it really isn’t) just for the risk factor but I am trying to get across that if you have a dream travel location, go and experience it before judging it. The best part about travel is that if you don’t like a place, then you can just pack up and move on. As I always say, you gave it a chance and that’s all that matters. I’ve had this said to me more times than I’ve actually thought about it myself. I would like my friends, family and even strangers to know that I am not planning to go travelling alone because I’m short of friends or invites! I want to grow as a person and experience my dream as independently as possible. Of course, I would always be open to friends joining me but I can’t hold out hope that someone else would be in the right place to go when I am. Cycling around Playa Las Americas, Tenerife (September 2012). I know a ton of people (both friends and bloggers) that have travelled alone and said it was the best thing they ever did. On the other hand, I also know people that have gone with friends or partners and had the time of their lives, it all depends on your personal circumstances at the time. What I do know is that neither option is better, it’s what you want that matters. Travelling really can be quite a personal thing and you shouldn’t feel pressured into going with someone just because friends and family will feel better about it. It is your adventure and alone or not, it has to be right for you. You just never know who you’re going to meet and what you’re going to experience. Another point that I feel is important to mention is that travel planning is testing and can even put the best of relationships under pressure. Disagreements may happen and you might want to see different things but if you are both determined, you should be able to work it out. However you should never feel like you have failed if things don’t go as planned. Going solo doesn’t mean that you won’t see the same sights or experience great things, it opens up countless new opportunities to push yourself into new places, both spiritually and physically. So there it is. 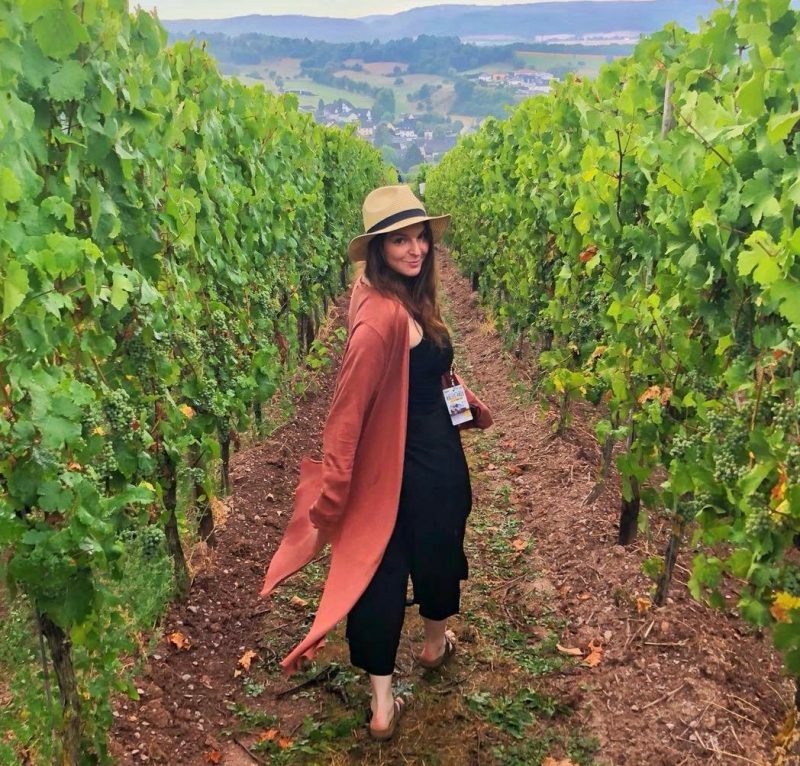 What I am really trying to say in this post is live your travel dreams and don’t let anyone stop you. Life is all one big adventure anyway, right? Walking up the steps to Palma Cathedral (July 2014).